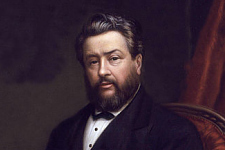 Charles Haddon Spurgeon (1834-1892) was England’s best-known preacher for most of the second half of the 19th century. Spurgeon’s many writings and brilliant sermons are still widely published today, testifying to his timeless appeal. His classic Morning and Evening continues to be a popular daily devotional even today.